We are pleased to announce the Fl Studio Groove version 1.1 update is available free to existing FL Studio Groove customers. FL Studio Groove is a Windows 8 music production & performance application available from the Windows App store. Compose, arrange, edit, mix and perform professional quality music. We have plans to release FL Studio Groove on Android and iOS, no dates to be announced yet. Windows Phone is not planned at this stage. There is no direct compatibility at this stage, although you can export your groove audio to wav format and import that to FL Studio as with any wav file. In future, we plan to develop a VST version that will load inside FL Studio and support FL Studio Groove projects and vice-versa. Not at this time, audio recording and sample loading are scheduled for a future update. No. This is a Windows 8 application only, it will run on Windows 8 and Windows 8 RT compatible devices (x86, x64, ARM processors). A multi-touch monitor interface is recommended but you can use it with a mouse. No, FL Studio Groove is a separate application. 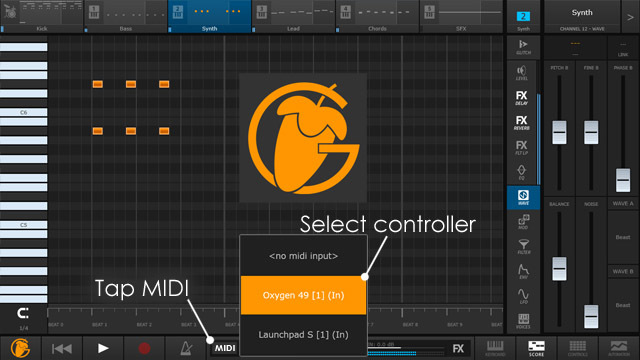 There are plans to integrate the synthesis engine from FL Studio Groove into FL Studio Mobile. FL Studio Groove is a 'groovebox' style application with the focus on loop/sequence creation. These are turned into a complete songs by recording loop triggering & live tweaking of FX & mix parameters (great for trance, house, techno, EDM, IDM etc). FL Studio Mobile is a traditional 'linear style' DAW application where longer parts are laid down track-by track to create the final song. Tracks are sequenced and or recorded. Fl Studio Groove is a Windows 8 stand-alone touch-based music production & performance application. It's available from the Windows App store and is on sale now for $4.99 USD until September 30, 2013 when it will return to the regular price of $11.99 USD. It features a 10 pad sample-based drum machine and 5 polyphonic synth channels so you can compose, arrange, edit, mix and perform professional quality music. No. This is a Windows 8 application only, it will run on Windows 8 and Windows 8 RT compatible devices (x86, x64, ARM processors). Multi-touch capability is required to fully exploit the application. If you'd like to submit a Performance Mode video, feel free to drop one into our performance video thread here. BTW: If you are wondering what a FLaunchpad is, here's a close up of one below. 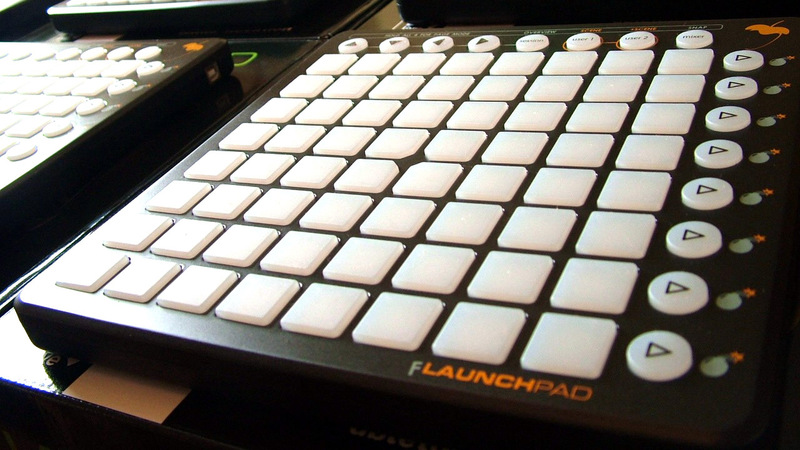 They are functionally identical to the standard Novation Launchpad, so if 9 x FLaunchpads work simultaneously then so will 9 x Launchpads.